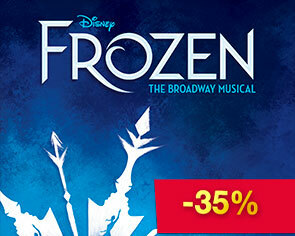 Buy a gift card to a musical, football match or admission tickets to an attraction from MuzikalyBroadway.cz. You choose the number of gift cards you need at the value you wish. The gift card(s) will be send to your email address straight away as a PDF file. Spread the joy and give a gift card to someone you love!